The moon, rugby and friendship. 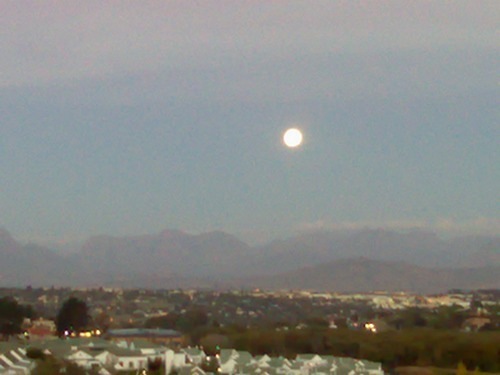 Today is full moon and it poked its head over the mountains fairly early today. Here is what I captured with my cellphone – excuse the quality. How about the Stormers yesterday beating the Hurricans. 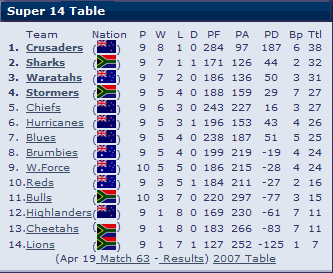 This win moved the Stormers up to 4th on the log. Next weekend the Stormers are up against the Highlanders that got beaten by the Bulls. Lets hope that the Stormers can bag 5 log points by beating the Highlanders and run in more than 4 tries. Over the last couple of days I have been thinking about friendship and relationships and all that I am left with are more questions than answers. When does a friendship stop being a friendship only and become a relationship? Is there one defining point where one moves from one state to another? How does one knows this? Does it mean that when one is in a relationship, other friends become less important? Why is being in a relationship so much more complicated than being just friends? Can one be great friends with somebody while that person is in a relationship with somebody else? Or if that other person is just very interested in somebody else?